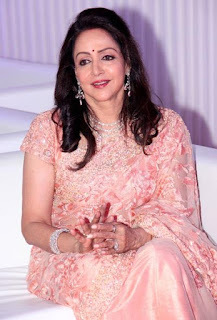 The 70-year-old Hema Malini's evergreen Dreamgirl appears in the real life by playing an actress, dancer, wife, mother, leader and character of Rina Life in real life. She recently performed dance ballet performances on her Ganga river in Varanasi on 22 January, during her visit to Juhu's bungalow. In that interview, he enjoyed the practice of this ballet with his grandfather and enjoyed discussions about his dance and his personal life. Hema Malini says about the reasons why this ballet was done, that in my mind the plan was for the last four or five years. I performed 12 minutes with daughter Esha on the music created by Ravindra Jain. Ravindra asked me to increase my performance time but it was not possible for me and in the process of going to Ravindra, I was completely repentant but afterwards, Asit Desai took charge of the music. Eight months ago Sushma also inspired me to do such a performance, but I was also excited for this performance. Bhagrath worked to bring the Ganges river to the earth. When I tried to live on the stage with the Ganges river. Hema Malini said about this project, what she wants to say, that this project is for India is for our country. Recently when I visited Varanasi's Gangadi, I felt very clean. I want to support this campaign and save water. My second objective is to highlight People of my hometown Mathura complain of salt water. Pollution levels have increased in rivers. Due to which the grounds are also being destroyed. 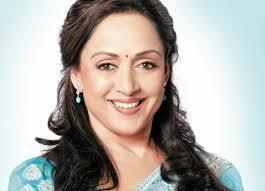 At the age of 70, Hema Malini gave her two hours of performance. You did not tired of that ... The actress laughing in her reply said that this story has been going on since ages. And if I should do a ballet about this gangatma, I still feel tired after one-and-a-half hours of performance. However, all this is a change in your mind set and viewpoint. If you are an actress along with a member of Parliament, in response to your plans in the next five years, she said that I am not astrologer and I do not even know what I will do. Did Dharmendra see your performance, in his reply, Dreamgirl said that he saw my Yashoda Krishna ballet. It is also because of my daughter Ahana that they say that at the time of performance you feel like you came from another creation on this creation and I can not find you in it. When you are a very important person for someone, this is the spirit that I can not give the form of words. Your two daughters are Esha and Ahna dancers. What to say about your daughter-in-law and daughter-in-law, Dear and Radya. In response to this, the actress said that the son of Ahana comes in the gallows after seeing my rehearsal. He behaves like a big actor. And Radhya also wants to dance. Seeing my dance she does it like me. Children do what their grandfather does.